The teachers at Ninian Park Primary School work closely with their pupils. They do this to assist each pupil as they learn and progress. We recognise that for the pupils in our school to make excellent progress, our staff have to make careful and ongoing assessments. We do this through the use of Assessment Of & For Learning strategies and use of an electronic system called Incerts to support us. 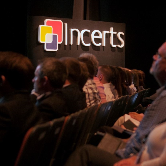 Incerts is a unique hybrid of social mission, education strategy and technical expertise. This powerful combination has allowed us to create a tool that is fit-for-purpose, effective and affordable. Click the image to discover further information relating to Incerts.